Have you ever felt confused trying to grow your own herb garden? Or wondered which herbal preparation will be the most potent? 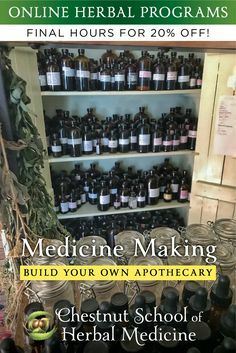 With over twenty-five years under my belt growing herbs, making medicine, and teaching about plants, I've come up with a program that is chock-full of expert guidance for cultivating medicinal herbs and addressing common ailments at home with your very own tinctures, syrups, poultices and salves. 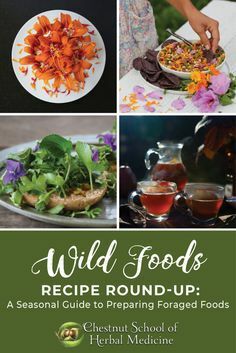 Bonus: You’ll be learning all about herbs while you save money—growing the garden of your dreams and whipping up a homegrown medicine chest full of the highest quality remedies to be found! Watch Our Video About the Herbal Immersion Program! 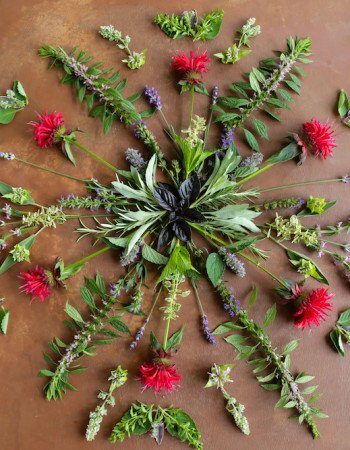 Our program is infused with a plant-centered approach to herbal medicine. 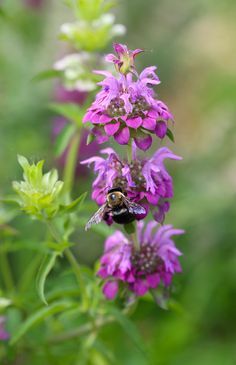 From anise hyssop to yellow dock, the course focuses on an all-star lineup of botanicals, primo for most temperate climate gardens. Note that most of the following herbs are the headliners of their very own video and profile. 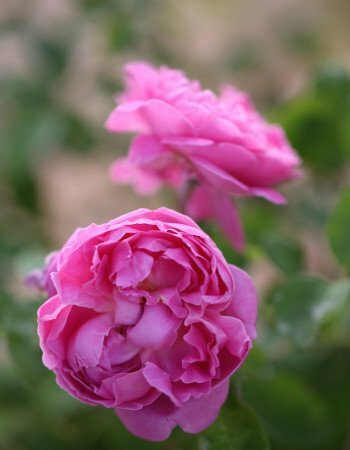 Take a Sneak Peak at Our Botanical Starlets. to move at your own pace through the material. Enrollment is ongoing, and you can sign up any time. The Full-Color Printable Course Manual is 1,400-pages! The electronic course manual is a whopping 1,400 pages long, filled to the brim with color photos, step-by-step tutorials, and herbal wisdom. It’s ready to be printed into three luscious binders or viewed on any screen. You’ll receive the course manual as downloadable PDFs so you can access the program content when you’re offline or print the material into beautiful books that you can hold in your hands. Many of our students enjoy reading the manual on a tablet or computer, whereas others prefer to put it into an indexed binder or spiral booklet form. Because the material is in electronic form, you have lots of choices for how to interact with the course content. We designed the manual to be visually enticing and photographically accurate–visual learners and plant aficionados LOVE reading our course manuals! Here’s what the electronic Course Manual contains – there’s so much material, it takes two mega binders plus a spiral bound book to hold it all! 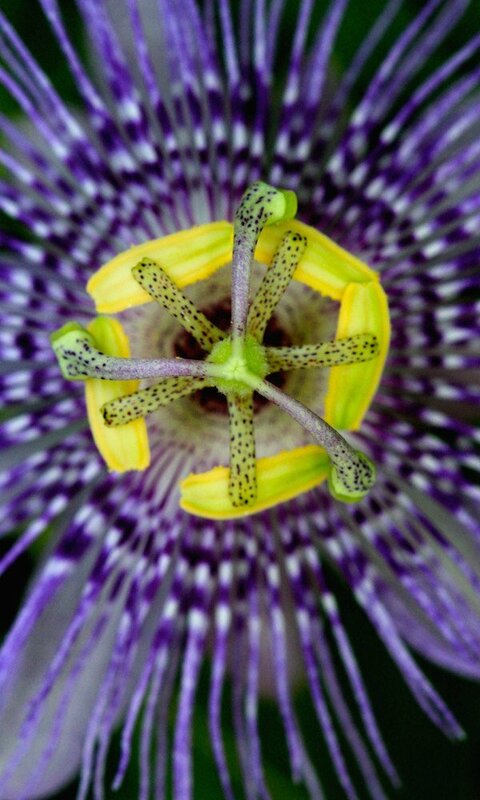 To get a feel for the lessons found in the course manual, please see our sample lessons on Herbal Honeys and Syrups and Passionflower. We've had over 3,000 students from more than 20 countries enroll in our online herbal classes. "The Immersion offers so much more than you think you're going to get. Not only will you learn about these amazing plants and how to grow them, you will also learn about the human body and how herbs affect each system--and not in a general way. 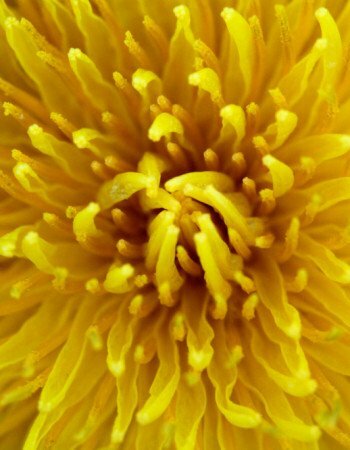 These courses teach you how to understand plants in various preparations and how each type of preparation will extract different properties of the plants. 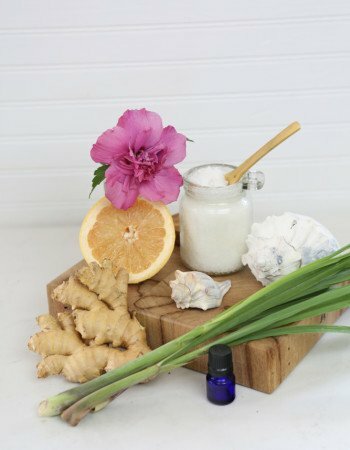 You will no longer be doing a web search on remedies for various ailments, because in the Herbal Immersion Program, you are given such tailored and focused instruction that not only includes information, but wisdom on how to apply all of this knowledge. They teach you both the science and the art of herbalism. A student can go as deep as they want with all these tools provided. I cannot express enough gratitude for this course." "These beautiful courses consistently, yet gently, remind me that there is always so much more to learn when it comes to herbal medicine. 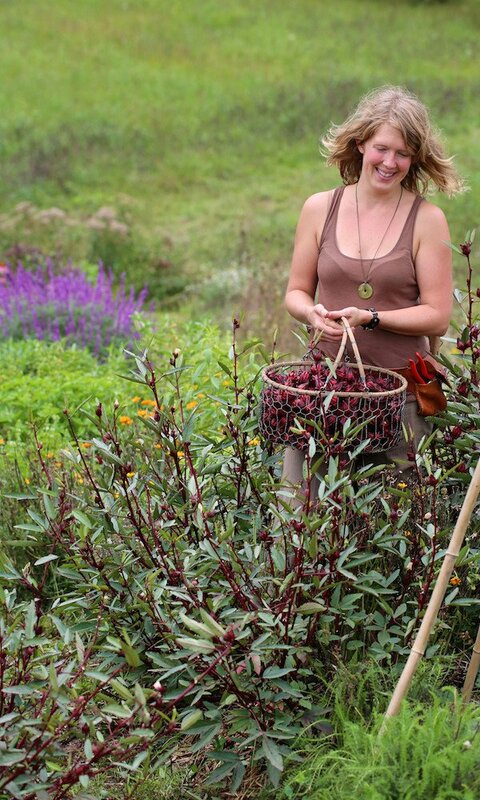 I've been working with and growing herbs my whole life including four years working on an herb farm. I have a master's degree in Chinese medicine and have spent nine years in clinical practice and in herbal medicine teaching roles. Even with that depth of experience, I'm learning so much! You've all done a wonderful job putting these courses together! They are impeccably organized, offering information useful to both the absolute beginner and the seasoned herbalist. More than anything, on a personal level, I so deeply appreciate the amazing images and photography. That in and of itself is inspiring to go deeper into this medicine. 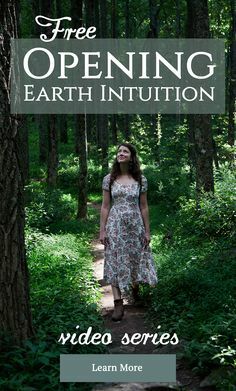 These courses uniquely reinforce personal creativity, building relationships with the plants, and remembering the web of connection we are all a part of. The love, experience, professionalism, and effort you have all put into the creation of these programs really shines through. Thank you all for doing what you do!" "If I could give this course 10 stars, I would. It is obvious that this school was years in the making: the content is incredible, the pictures and videos are amazing, and the activities are wonderful at turning the information into action. If you are interested at all in using or growing plants medicinally, or making your own herbal remedies, this school is a must!" 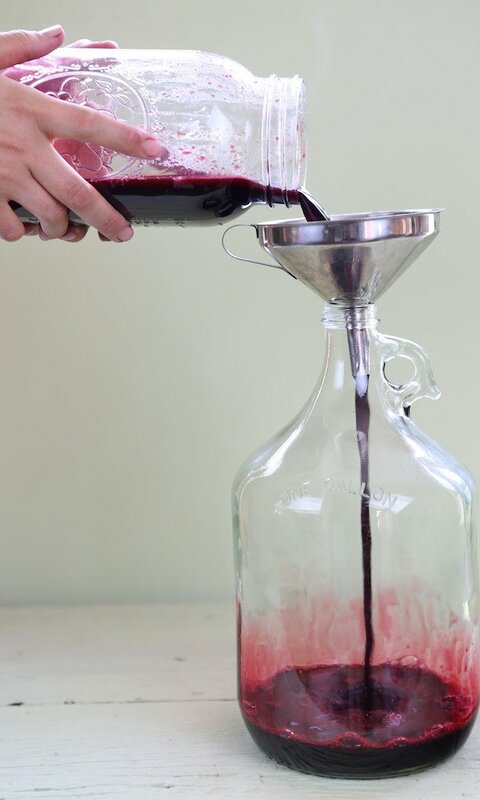 "I have truly learned a lot so far - even about the topics that I thought were going to be very simple, like preparing infusions and tinctures. I've found answers to some of my questions that I had a hard time clarifying before, like how do we know which herb is best in form of tincture, infusion or decoction and why. There's so much valuable and practical information. I also like the format of the course. First of all, it's beautifully done and visually pleasing, which keeps me excited. Second of all, I like that it can be viewed electronically or can be printed out and made into booklets. I personally prefer reading from books rather than from a screen whereas I am sure there are others who don't mind or prefer to view their lesson electronically, whether it's via their laptop, phone or iPad. I also love the videos. It makes it a lot easier to grasp and absorb the information on some topics like botany. I also love the spirit of the entire course: Juliet and the rest of the staff, and the students, the ability to connect with each other on the student group and learn from each other at all times. I know I can always count on the team for any questions! I haven't felt that way before in previous herbal studies programs." This online course is self-paced and you can start as soon as you sign up! Watch the videos and read the lessons on any device, at your own pace. Save $365 when you pay in full! If you're not satisfied, we'll refund your full tuition within 14 days of enrollment. You’ll have complete access to the entire program as soon as you enroll. To keep you on track and engaged, you’ll receive monthly emails from us with an introduction to each module. However, you’re welcome to move at your own pace through the material. Enrollment is ongoing, and you can sign up any time. You’ll be able to download all audio and text (and enjoy them while you’re offline), however, the videos can’t be downloaded and will not be provided on DVD, so you must have a reliable internet connection to view them. The videos can be viewed on mobile devices with a wireless connection. Please see the full course outline for more details. 1,400-page course manual. All the course materials are yours for life! You’ll have ongoing access to all the videos, online written materials, and exclusive archived newsletters indefinitely. By joining our learning community, you’ll not only have access to an amazing educational experience—you’ll also be gaining entry into a trusted source of herbal information to revisit year after year. It’s like a perpetual library card to a whole world of herbal knowledge. As a bonus, you’ll also have access to all fresh material – videos and newsletters – that we’ll be adding to the course over the years. Please note that two and a half years (30 months) after enrolling, instructors will no longer be available for questions or guidance. However, the connections you foster with other herbal enthusiasts in our private forum will help support you through a lifetime of herbal learning. 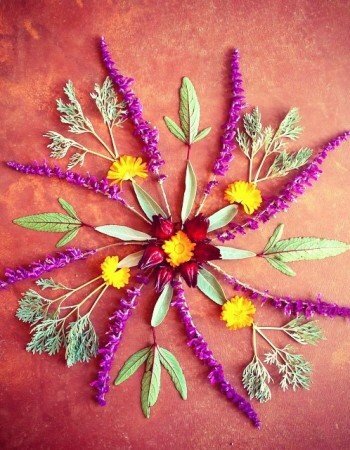 Do you find yourself yearning for a deeper connection to the herbs you use medicinally? 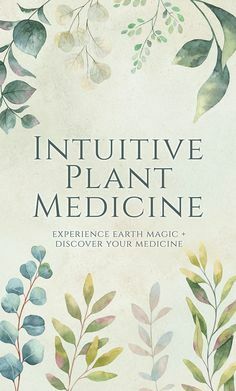 We believe direct connection with healing plants is THE best way to learn about their medicine. 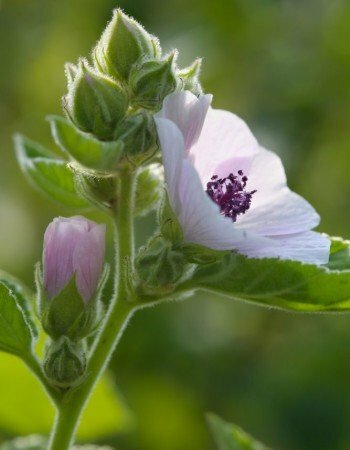 When we fully know an herb, it virtually comes to life, blooming in our mind and heart. 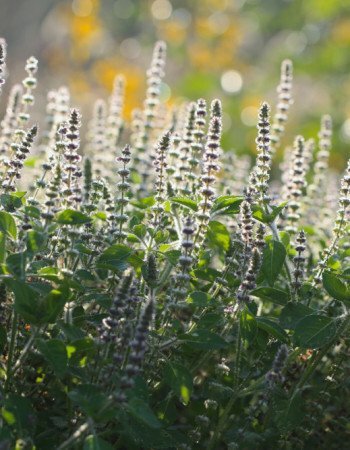 Suddenly, it’s easier to remember its medicinal qualities, as we now recognize the herb as a distinct personality. That’s why our program is infused with a plant-centered approach to herbal medicine. You might be asking yourself, what exactly does that mean? It means the plants are the stars of the show. In this course we’ll introduce you to each of our botanical starlets on an intimate level. We know good medicine begins with good relationships, so a deep-rooted connection to healing plants is at the heart of our teachings. 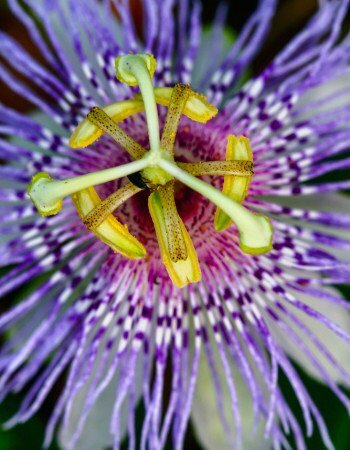 Download our sample lessons on Herbal Honeys and Syrups and Passionflower. Have you been studying herbs for a while, but just aren’t sure how to tie everything together? 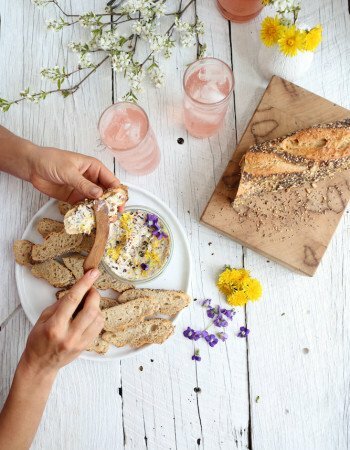 Whether you’re just beginning to dabble in herbalism or you’re ready to take your craft to the next level, we’ve got something special to share with you. Our students range from complete newbies to seasoned herbalists, with established gardens and businesses. One of the beauties of online learning is the community support and mentorship, and the ability to network with herb lovers from around the globe. If you’re not fully satisfied, we’ll give you a complete refund within 14 days of enrolling. Why online? Can I really learn about growing herbs from an online format? Most of us love learning about herbs in-person but sometimes this just isn’t practical for those with busy schedules and full lives. We crafted our engaging videos to be as close to live instruction as you can get, with a front row seat in the garden –the plants are our esteemed co-stars. 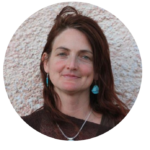 Throughout the course, Juliet, along with her trusted team of core instructors, demonstrates the real ins and outs of cultivation, propagation, harvesting, and medicinal use. This is NOT your typical instructor sitting in a classroom with a blackboard. We’ll be elbow deep in soil, head high in garden bushes, and up close and seriously personal with a huge variety of plants. 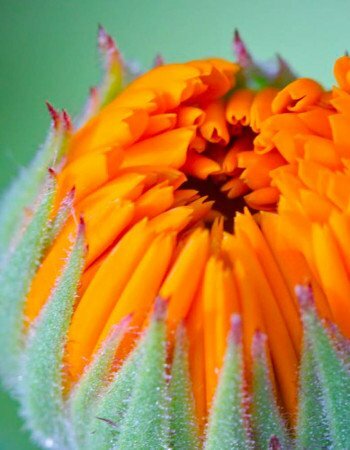 We love how the medium of film allows us to dynamically showcase the plants, visiting them in all their growth cycles and zooming in close for the kind of botanical detail only possible with a hand lens, or high powered macro camera. Online learning is a convenient way to learn – you can take your class with you wherever you go and complete the lessons at your own pace, when it works for YOU. Easy access to our team of moderators ensures you get the support you need — in most cases, your questions will be answered within 24 hours. And you will be able to connect with a rich community of herb gardeners from around the world! Our multimedia program is designed for you, whether you learn best from reading, writing or watching. With each module you’ll be provided with additional hands-on assignments to further engage all your senses and creativity. We truly believe you can learn about growing herbs through video and clearly written instruction, or else we wouldn’t have created this program! You’ll have ongoing access to all the videos, online written materials, and exclusive archived newsletters indefinitely. By joining our learning community, you’ll not only have access to an amazing educational experience—you’ll also be gaining entry into a trusted source of herbal information to revisit year after year. It’s like a perpetual library card to a whole world of herbal knowledge. As a bonus, you’ll also have access to all fresh material – videos and newsletters – that we’ll be adding to the course over the years. 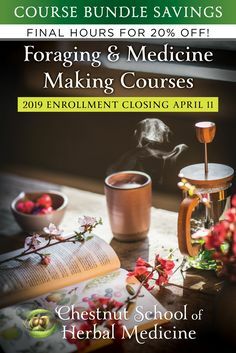 Please note that two and a half years (30 months) after enrolling, instructors will no longer be available for questions or guidance, but the connections you foster with other herbal enthusiasts will help support you through a lifetime of herbal learning. When you enroll, you’ll receive login information to enter the student portal, where you will access all the course materials. Our welcome video will walk you through all the nitty gritty details, including how the website works and the layout for the entire program. Each module is comprised of 6-15 individual lessons, which you will complete in sequential order. You’ll have complete access to the entire program as soon as you enroll. To keep you on track and engaged, you’ll receive monthly emails from us with an introduction to each module. However, you’re welcome to move at your own pace through the material. The lessons are a combination of video and written materials, which you can read online or in hard copy (via a printable 1,400-page PDF that comes with the course). After you have explored all the materials and completed the lessons in each module, we offer self-guided review worksheets, experiential projects and further media resources. These exercises are designed to help you integrate and review the information. When you’re ready, you’ll take the quiz at the end of the module. If you’re working towards a certificate, you’ll need to reach a grade of 80% or higher to progress to the next module. You can take the quiz over, if needed. If you have severe test anxiety or a learning difference, please contact us— we will create another form of assessment that feels comfortable to you! We mean it; we welcome and support all types of learners. Every month you’ll receive an exclusive newsletter, peppered with seasonal gardening tips, recipes, book reviews and updates on herbal happenings and news. The newsletters are printable and archived. Our scholarship program is on hold until further notice. To receive a notification when we reopen the application period, sign up for our newsletter. See our partnerships page for more details. Juliet Blankespoor is the green mastermind behind the program, and is the primary instructor and choreographer. 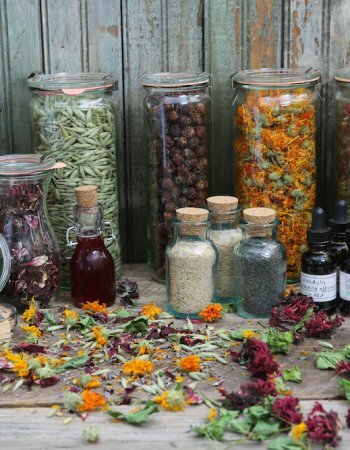 She has been growing medicinal herbs for twenty-five years, and has been involved with many aspects of herbal medicine, including owning an herb nursery and tincture business, and directing an herbal school. Her extensive knowledge of plant propagation and cultivation comes from years of growing medicinals for her tincture business and nursery, and gardening with herbs in many different climates. Other core instructors include Joe Hollis, 7Song, Lorna Mauney-Brodek, Asia Suler and Becky Beyer. See our full line-up of instructors and contributors. I’m a total newbie to gardening and herbs -- will I be lost? We begin at the ground level, and build from there. You don’t need any prior experience or knowledge. We’re here to answer your questions and lead the way in a clear and easy format. I only have a small suburban yard/urban backyard. Will the course still be beneficial? 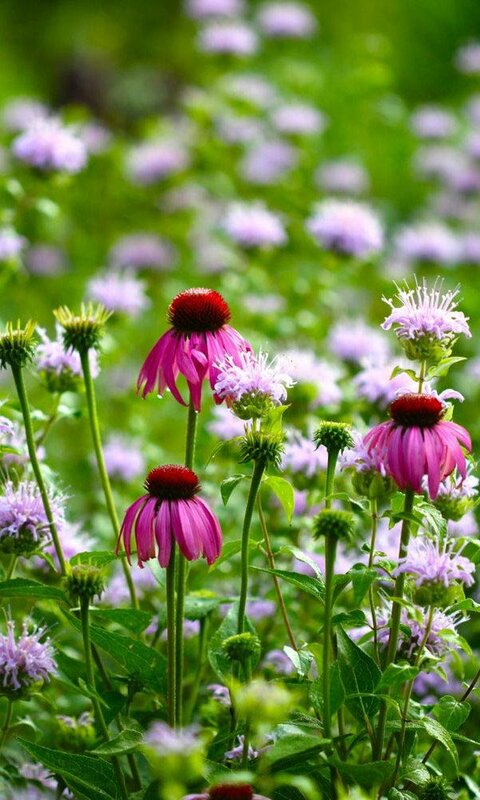 Even if your growing area is limited, you can still grow plenty of medicinal herbs! We offer many pointers and techniques for maximizing yields in smaller gardens, such as utilizing vertical space, polycultures, repeat harvesting, and container gardening. 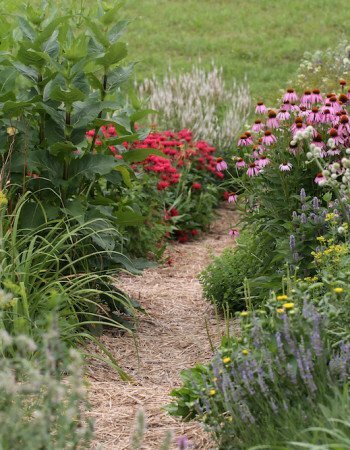 If you have at least 250 square feet of garden space available for herbs, you can still grow quite a bit of medicine. I’ve been growing and using herbs for years – will I learn enough new material to justify taking the course? Even experienced gardeners and herbalists will benefit from our course, as we offer detailed instruction on many topics. Some of the material will be review but we believe that most people will gain valuable insights, especially in the area of medical herbalism. Look over the curriculum and list of plants covered to help you decide if the program is right for you. Finally, we do offer a guarantee – (please see the details above). We want our students to be completely satisfied with their learning! What if I’m interested in farming herbs or growing on a large scale? Though a lot of the information in the course will be applicable—propagation and medicinal usage especially, the program itself is more geared toward the gardener than the farmer. We don’t offer specifics on farming, such as market prices, yield per acre, or special mechanized equipment and the program will not cover what you would need to know to get started with a large-scale operation, but you can definitely use the knowledge to help fill in the gaps. Will I be able to grow all the medicinal herbs you cover in my area? We designed the course for a variety of growing climates throughout the temperate world. The program will be useful for most areas of North America, Europe, Southern Australia and Asian mild-temperate regions. It is specifically geared for USDA Growing Zones 4-9. Check here to see what zone you live in. Throughout the videos, we give growing tips for different climates. 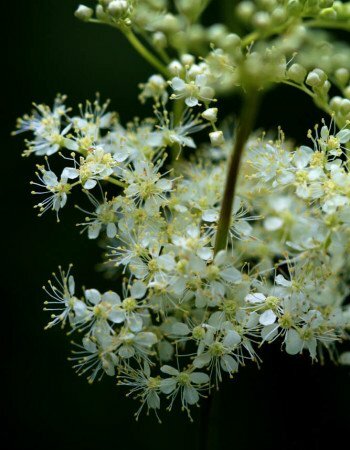 We also have a whole module with regional features from various bioregions to give you a good idea of the optimal medicinal plants for your climate. Please consult the list of plants covered here. If you’re still not sure if you can grow the plants we feature, consult local growers, herbalists, master gardeners or extension agents and ask if those plants can easily be grown in your area. If you’re still not clear, drop us a line, and we’ll give you an honest opinion about whether you will benefit from this course. As long as you can grow the plants we cover (see the questions above and below), and have a solid command of the English language, you are welcome to take the course. About 10% of our students reside outside of the United States. We provide metric conversions for all recipe and cultivation measurements. Please note that businesses who have offered perks to our students may not be able to extend those offers to international students. There are many ways you can approach the program. If you’re enrolling purely for your personal needs and aren’t working towards a certificate, you take all the time in the world. It’s your program to do as you like, but we do recommend following the sequential format, as it builds up from the foundation, with roots, branches, twigs, etc. You can binge watch on the weekends or slowly sip it in on Tuesday nights. If you’re working towards the certificate you have a timeframe of two and a half years (30 months) from your time of enrollment to complete the program. There are several reasons you may want to aim for a certificate. The dangling carrot can help you keep your eyes on the prize, so to speak. Motivation is even more important with distance learning, where it’s easy enough to fall off the wagon. Gaining a certificate can also give a strong feeling of personal satisfaction – a milestone after hard work and dedication. Finally, the certificate may help to serve your career goals. The bottom line is that we want the program to work for you and your life, however that looks. Each of you will have a different approach, tailored to your needs. Some of you will move through the materials quicker, while some of you will gain the same benefit, but spread your learning out over a longer time period. But remember, however you engage with the program, you will get out as much as you put in! This is a 1000 hour program, and we estimate you can complete the course in 18 to 30 months, depending on your pace. There are 17 modules, each of which contains approximately 2-5 hours of video instruction and 6 to 15 lessons. Additionally, you will want to plan time for reading assignments, worksheets, experiential projects, and studying for quizzes. Each module will take about 25-40 hours of your time, depending on its scope, your pace, and depth of work. To earn a certificate for this program in the allotted 30 months, you’ll want to budget about 30 hours a month, or 8-10 hours a week. As stated above, you have 30 months to complete the program and gain a certificate. After this time, you’ll have ongoing access to all the materials, but our team of herbal moderators won’t be available, and it will no longer be possible to gain a certificate. Ultimately, we created this deadline because we believe it will help motivate you to finish the program! Yes! Enrollment is ongoing so you can sign up and begin any time. You’ll receive an email every month from us—with an introduction to each module—to help keep you motivated and on track. After satisfactorily completing all the assignments and quizzes, and submitting your experiential projects for review (within 30 months of enrolling and after paying your tuition in full), you’ll receive a beautiful certificate of completion. The certificate will state that you completed 1000 hours of coursework and list the subjects covered. (You can find the subjects and the breakdown of hours on the course outline.) Currently, there is no certifying or licensing agency in the United States for herbalists, so there is no such thing as a certified or licensed herbalist, despite what some schools advertise. 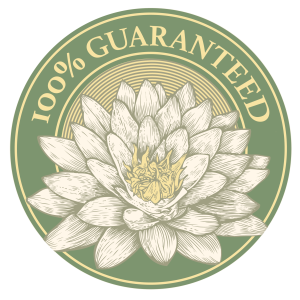 However, many people find that a certificate represents the hours and dedication poured into one’s herbal studies. Additionally, a certificate offers a sense of pride for completing the program. 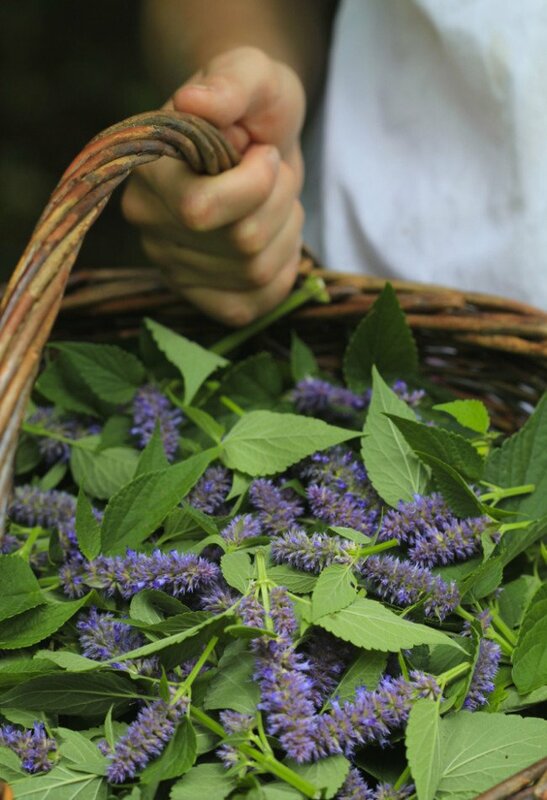 In any case, you will learn valuable skills that we believe are essential for self-care and the foundation for many plant-based herbal livelihoods. We want to be clear that we are not an accredited University or vocational school. We are a school of traditional herbal medicine. Read more about herbal certification here. Our program lays a solid foundation in clinical herbal medicine, but it doesn’t fully train you in all the necessary subjects to begin a practice, such as anatomy and physiology, pathophysiology, constitutional assessment, and drug/herb contraindications. 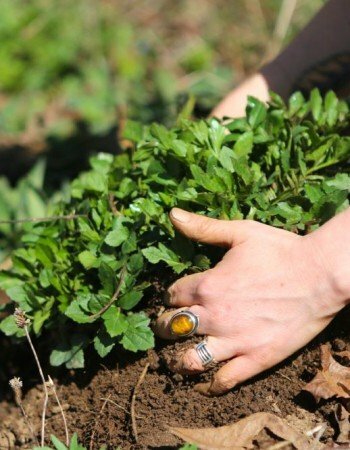 The Herbal Immersion can serve as the first step on this career path, followed by a clinical program. Or it can be taken concurrently with a clinical program to round out your education with more botany, herb cultivation and medicine making. However, the Herbal Immersion does equip you with many valuable skills. You can find a list of these after the section on this page: Here’s what you’ll be able to do after completing the program. What if I’m not interested in growing a lot of herbs, should I take the course? We don’t believe you would benefit, as half of the program focuses on growing herbs. We want this course to serve the educational goals of our students, and so we’ll candidly let you know another course would better serve your needs. Our Medicine Making program doesn’t cover cultivation, and touches on the therapeutic use of herbs. Do you offer group discounts if I want to sign up with friends, family members or colleagues? Yes, we offer a $200 discount on tuition for each student when 3 or more students enroll together. This discount cannot be combined with other offers, discounts, or during a sale. Please contact us for the discount code info: christine (at) chestnutherbs (dot) com. See the question below for details about enrolling with children under 18. 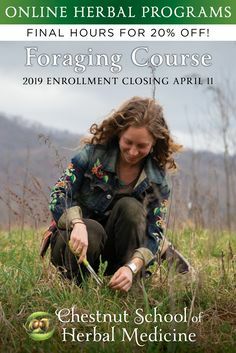 You’ll find some of the content of the Herbal Immersion Program in both the Herbal Medicine Making Course and the Online Foraging Course, however, the bulk of the material is only available when you enroll in the full Herbal Immersion Program. 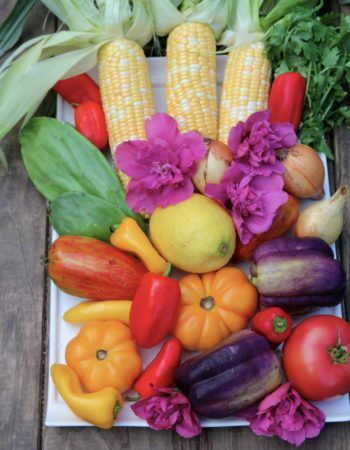 When you enroll, you will receive a list of the kitchen supplies used in most of the recipes and garden tools you will need for cultivating your herb garden. These include items you may already own, such as assorted Mason jars, an electronic scale, stainless steel funnels and labels, pruners, shovels, garden gloves, etc. How much you spend on ingredients and materials will differ, depending on how prolific you are with the recipes and what tools and ingredients you already own. We estimate you might spend anywhere from $200 to $600 depending on these factors. You’ll also enjoy discounts from some of our favorite suppliers for the period of your enrollment—you’ll have access to these discount codes as soon as you enroll. Note that you have two and a half years to ask us questions, but the course is yours for life, so you can spread out your purchases to suit your budget. Hands-down, the biggest difference is our plant-centered approach and emphasis on cultivation and homemade medicines. We practice and teach a combination of bioregional and DIY herbal medicine. In addition, we provide a wealth of detailed, hands-on video instruction that is not found in other programs.